On Thursday, Ethiopia became the latest African nation to ratify AfCFTA, bringing the number of countries that have done so to 21. A total of 22 countries are required to sign the Agreement to bring it into force after all the countries have deposited their Instruments of Ratification at the African Union Commission (AUC) – with Ethiopia ratifying the Agreement, only one more country is left to reach the number of countries required. 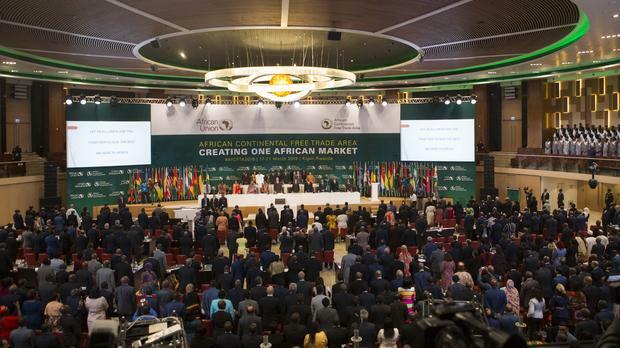 52 countries have signed onto AfCFTA, 21 of them have ratified it and 15 have deposited their Instruments of Ratification with the African Union Commission (AUC). When the one country ratifies the agreement and 17 other countries that have already ratified the Agreement deposit their Instrument of Ratification at the AUC, the Agreement will come into force. When it is implemented, the agreement is expected to eliminate tariffs on 90 per cent of goods, allow autonomous movement of commodity, goods and services across countries of the continent, and it will be the largest trade area in the world. The Economic Commission for Africa (ECA) says the AfCFTA will promote intra-African trade by 52 percent by the year 2022.